Description: Dunhill produces some of the finest lighters around, collected by enthusiasts the world over including Huntsman's Chairman. Originally produced in the 1920s, this more modern sport petrol version was re-introduced in the early nineties with an added flame shield for easy use in the wind. 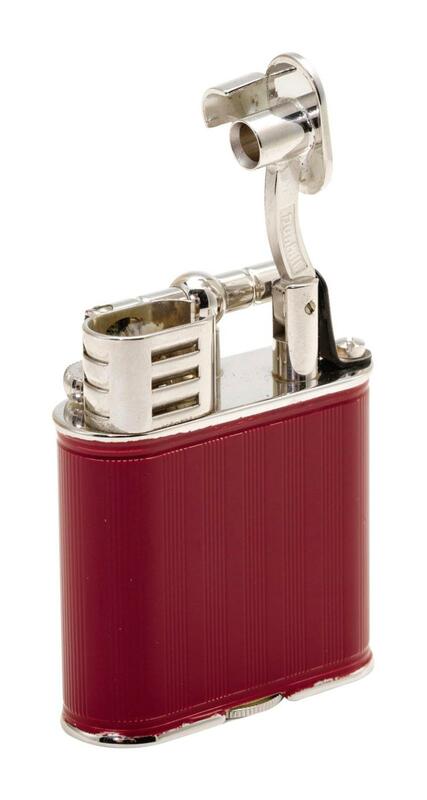 An ideal size for the pocket, this fully functioning vintage lighter has received the bespoke Huntsman treatment, being lacquered in Huntman signature claret by artisan Lionheart.